Fevzi Turkalp, the Gadget Detective, joins Allison Ferns on BBC Radio Surrey & Sussex to discuss the latest tech news and answer listener questions. This week's news, voice activated devices, such as Amazon's Echo, may be susceptible to hijacking by ultra-sonic frequencies. 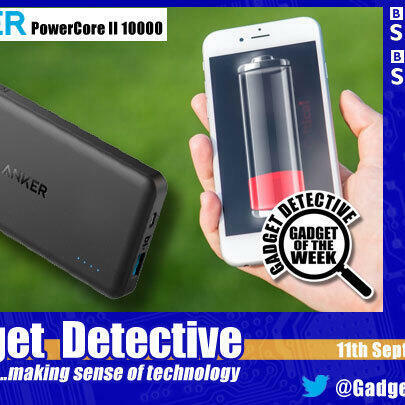 Gadget of the Week is the Anker PowerCore II 10000, a portable power supply capable of fully charging even the most power hungry of devices several times over. Including fast charging and charge protection, this is ideal for those who find their phone, tablet, or even compatible camera, needs a recharge when you're not near a socket. Scoring 4 out of 5, listen in for more details.